As the Wood and Biomass Pellet Industry has expanded, Aircon has risen to meet the pellet plant’s need of transporting pellets & materials from one area to another by use of pneumatic systems. Pellet Cooler cyclones are essential in this process as they separate the contaminated hot air from the cooler to the atmosphere & sometimes a filter may be used to further clean the air. 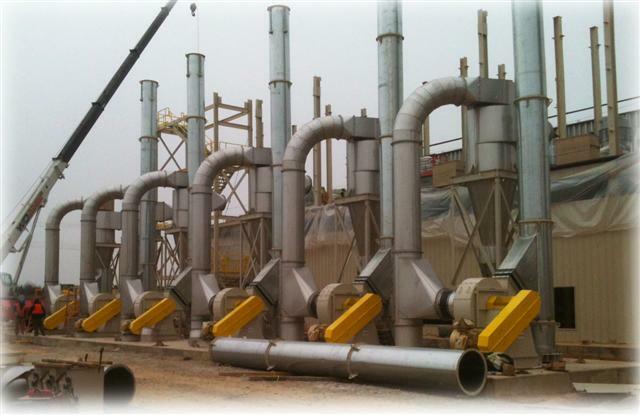 Aircon can design and install a custom Pellet Cooler specific for your pellet plant. Call or email for a customized quote today!